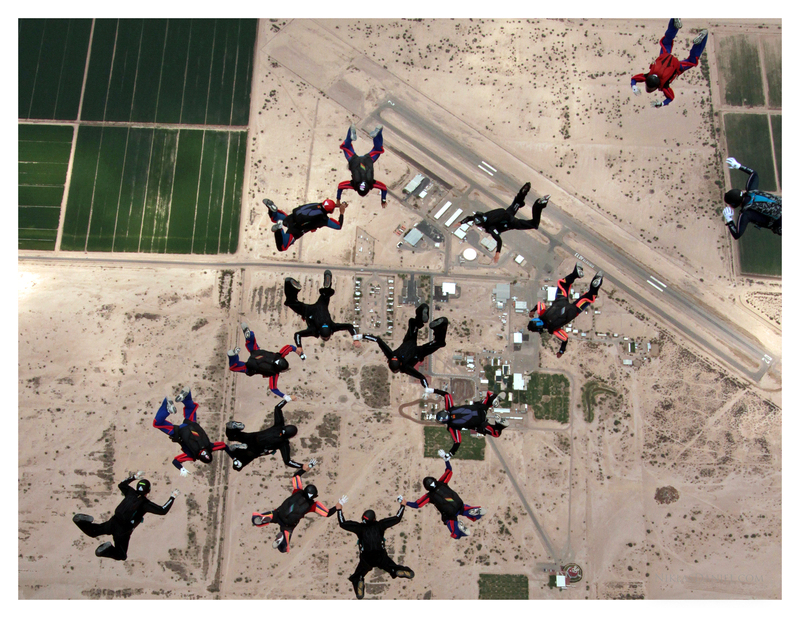 There are only a few days left before the Indian Air Force completes their training here are Skydive Arizona. It is truly amazing to have witnessed the transformation of the group. 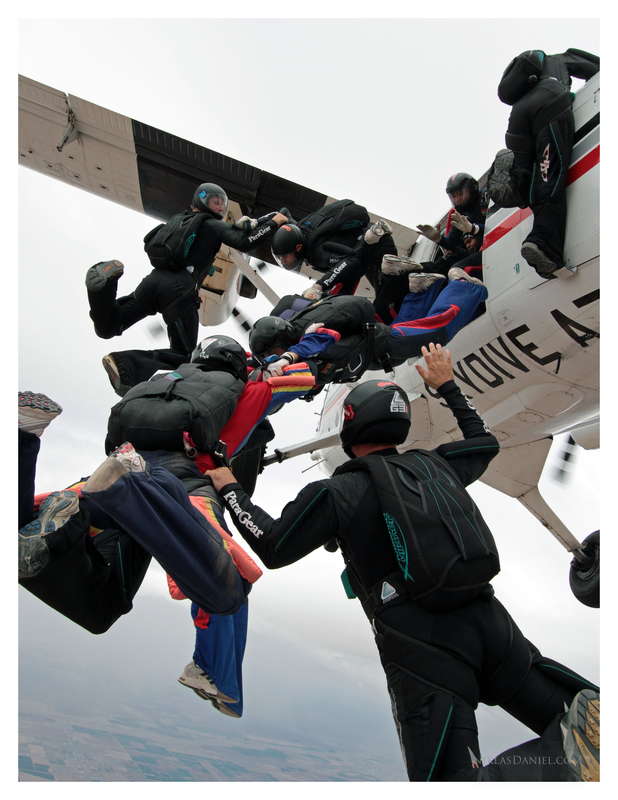 Each person is a completely different skydiver than when they first arrived. In addition to all of their gained technical knowledge, the groups overall energy has changed from typical students, to confident and trained competitors. I am very much looking forward to their future performance at the CISM Military Championships. 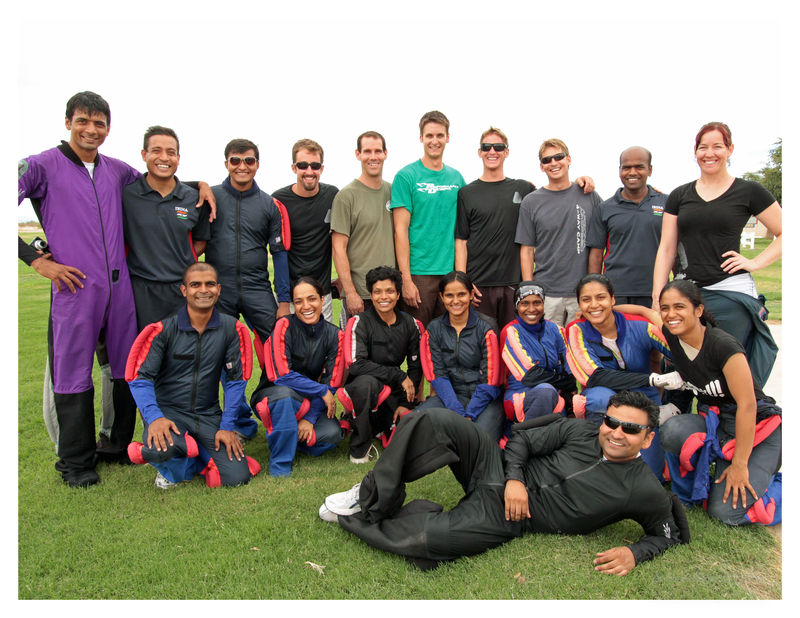 After yesterdays training jumps, both groups (Men’s and Women’s Teams) decided to make a fun jump with members of Arizona Airspeed and AXIS Flight School Instructor Brianne Thompson. 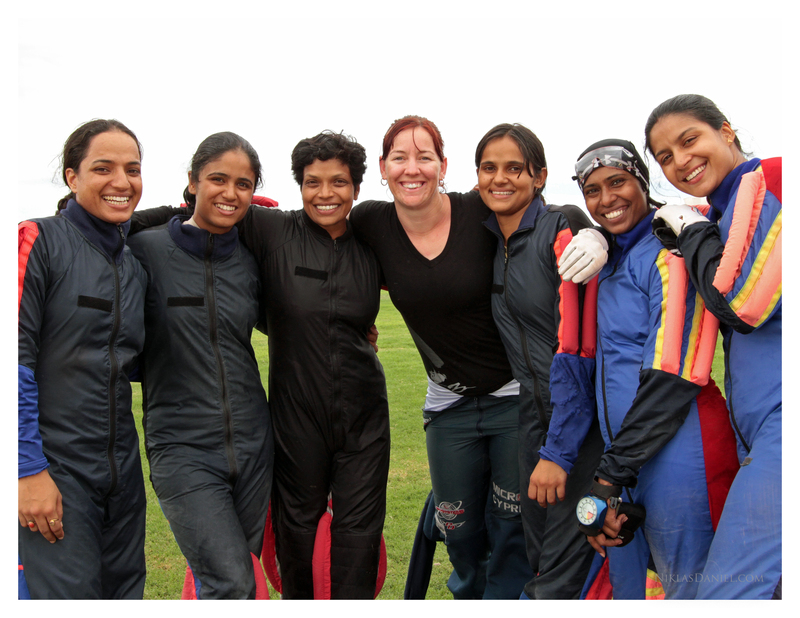 The 18-way, plus myself on camera, was the biggest jump any of the Indian members have ever done. 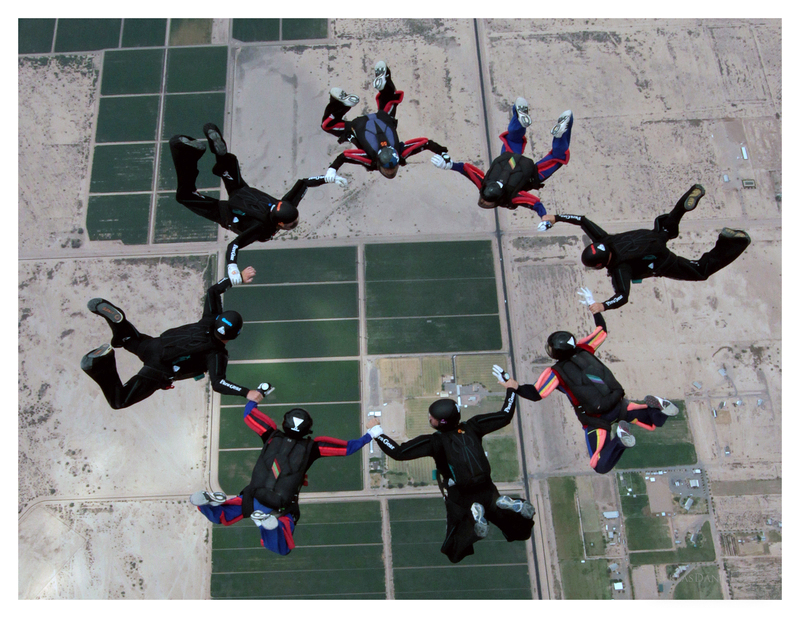 Although the formation did not complete, we all had a blast charing the same airspace. Over the next few days, both teams are going to be jumping from a new aircraft, the Sky Van. This will more closely simulate jumping out of a Mi-8 helicopter, which will be the aircraft used in the CISM competition. This entry was posted in AXIS Flight School, Military, Skydiving by niklasdaniel. Bookmark the permalink.